Continuous Motion – Continuous Load? Skagit Casting Techniques for Beginners and Advanced Spey Casters. Perry Poke City: Skagit Casting Or….? What is a Skagit Cast? How to Do a Single Spey with a long line. Competition Spey Casting Videos: Interesting View and Open Stance Comparisons. 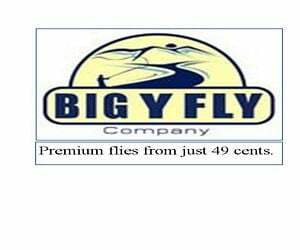 Everything you ever wanted to know about Spey casting and fly casting. Single Spey Cast: Four Parts, Six Simple Steps, Twenty crucial tips for casting Spey lines. Spey Casting – The Lift: Crescent, Spiral, Shotgun, with Heavy Sinktips or Floaters. Tip of the Day: Sweep with your body. Jacking around with a Scandi head and Many Thanks to my Friends! A short, sweet, Scandi casting lesson: Lift, sweep, bottom hand, tailing loop. Ok? Modern Scandinavian Spey Casting. Focusing on the lift. Scandinavian Spey Casting and Skagit Casting Practice…Slowing down the Lift. The Scandinavian Spey Cast from behind. What I’ve learned about Scandi Casting Part Duex. Surround Yourself With the Right People! Derek Wiley Video…Some Dandy Chrome Hookups! Swinging flies for Winter Trout: Updated! Rio In Touch Single Hand Spey Line Test Cast and Fish. Rio Skagit Mow Tips as Skagit lines (shooting heads) for Short rods. I absolutely love this painting…. Sorry. I cant get over it. Dear Doctor Linespeed, What are aproximately fifteen things I should know before purchasing my first Spey rod? Should I start out with a switch Rod? Should I buy a new Spey rod? Lets get One Thing Straight….That’s not me casting in the Header photos. That’s Greg Holt. The photos were taken by his son Steve Holt. Switch Rods for Steelhead – a Really Confusing Look. Hinging- A small tapered body with an over sized floating tip. that could work as well or better than jumping on the forward stroke. I like the lift and rod angle before the forward stroke by the way. It helped me greatly to practice this particular cast on grass, as the lawn simulates the lighter anchor required very well. Starting with a lighter, more delicate head and very long leader could also help. I agree! I’m working on trying to remember that just because its underhand it doesnt mean “Pop” it. Thanks for the comment- great stuff sir! A Skagit and Spey Casting tips, tricks, basics, and Essentials Video featuring Mike! Tim Rawlins and linespeedjedi.com is a participant in the Amazon Services LLC Associates Program, an affiliate advertising program designed to provide a means for sites to earn advertising fees by advertising and linking to Amazon.com.